The show goes on as QAL take the Park Theater stage for another night of non-stop classics. Boys did a job on HH! Dr. Brian cracks me up…he stops, tells people to give him light, and they do! Then they cheer for themselves…so funny! So lovely. ♥ Adam Lambert is ♔ @FoxVegas Dr. Brian cracks me up...he stops, tells people to give him light, and they do! Then they cheer for themselves...so funny! So lovely. Geno Gruber is with Valerie Haskins. 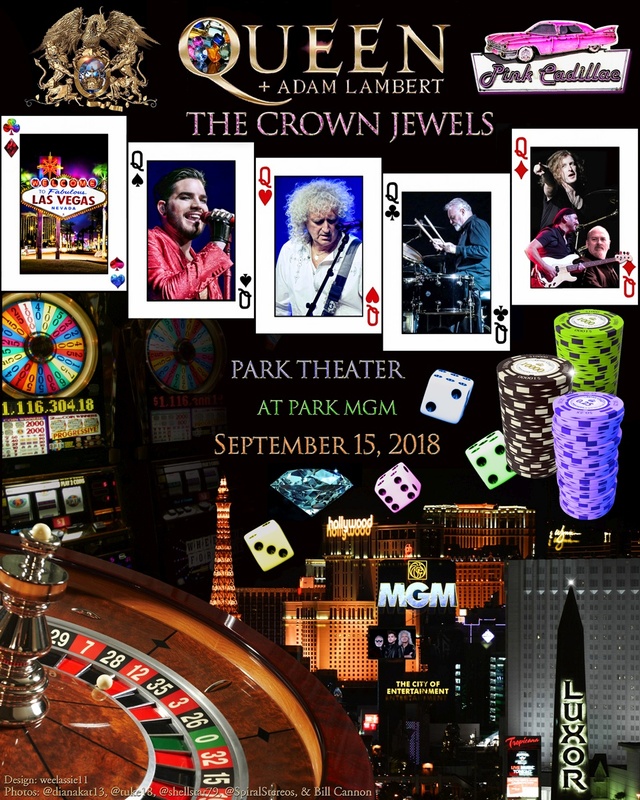 Thanks to the connections of my great friend Loreea, I got VIP seating to Queen in Las Vegas. Brian May was as I expected, awesome but I was blown away at what an amazing performer Adam Lambert is. Great show! @adamlambert Here is some more from tonight. I love these shots! @adamlambert Thanks for the high five sir…!!! @adamlambert You were amazing tonight! I got some incredible pictures of you. You have some solid poses! @adamlambert @QueenWillRock Fantastic performance tonight!!! @adamlambert @QueenWillRock What a show! Charl was using it too, when he was in Vegas. Thank you @adamlambert – you sure know how to honor Freddie and fill his mighty high heels. Amazing, memorable QUEEN concert tonight at @parkmgm – total respect. Mike Cooper ‏ @mcooperatl 5h5 hours ago Thank you @adamlambert - you sure know how to honor Freddie and fill his mighty high heels. Amazing, memorable QUEEN concert tonight at @parkmgm - total respect. ….show must go on !! !